**I’ll be away from blogging on and off for the next week. ****In case you didn't see...artwork by Wendy Paine Miller. :D Merry Christmas, people! What a beautiful family! I LOVE the artwork. How fun. ;-) Merry Christmas to you. What a wonderful picture! May you and your family have a very Merry Christmas and a Happy New Year! You all look beautiful! God bless and Merry Christmas! You're all so photogenic! Merry Christmas! I hope you have a wonderful holiday! Beautiful family picture! Have a very Merry Christmas! What a gorgeous family! Merry Christmas, Wendy. God has blessed you with a daarling family!! Hey, did you draw that on the computer? If you did, that's really hard. Good job for trying. :) Merry Christmas and enjoy the holidays. 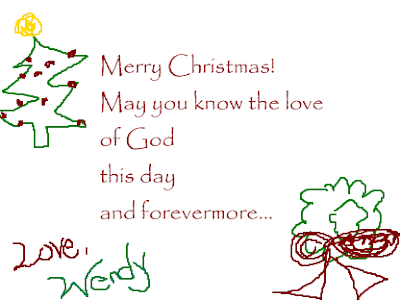 Merry Christmas, and Happy New Year Wendy! Happy Christmas, Wendy! I hope it was a great one. Blessed and merry. Your family is beautiful! I love the picture (and the artwork :)! Have a wonderful week and a very happy New Year! 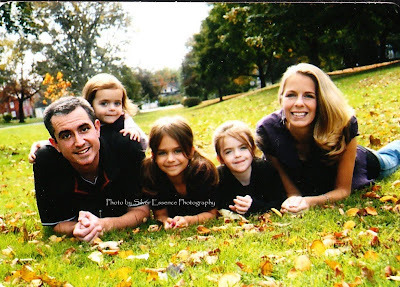 What a wonderful photo, Wendy, and a beautiful family!